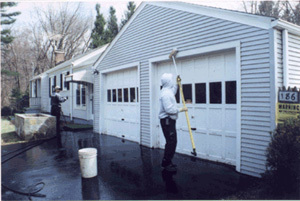 As the premier power washing specialists in the Northeast, we have been satisfying our customers since 1981 - now over 27 years! We provide quality work at reasonable prices and have the right solutions to handle any cleaning or removal task. Please give us a call, or use our convenient e-quote request form. "Wow!... A service that actually shows up when they promised, and did what they came to do! Thank you." "Outstanding Service! Our deck is like new again. Thank you." "Their graffiti removal service is incredible. 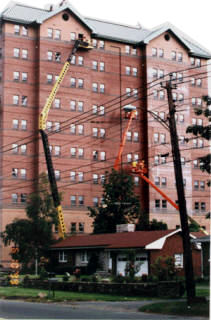 They know their craft and they can did it quickly so that most of my building tenants never knew it was there." "We had significant mildew on our siding, and, not only did they remove all of mildew and staining, but our siding looks like new!" "They showed up! So many contractors have let us down and now, after using Trans-Clean three times, they have never disappointed us. We strongly recommend their services." 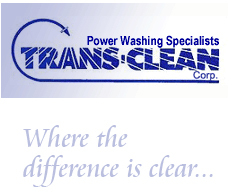 "Trans-Clean is the fourth service we have used, and it will be the only service from now on. Our house looks so good after every visit by them. They make it all so easy, and their workers are courteous and respectful."